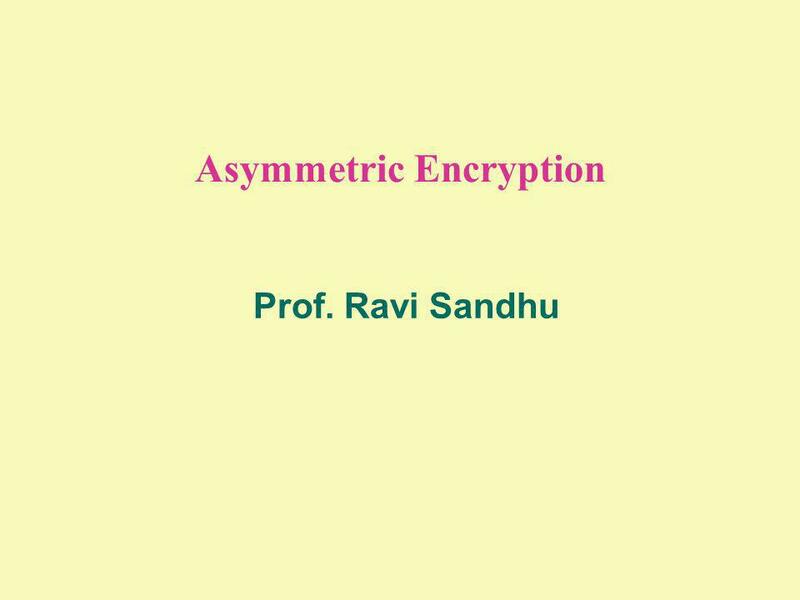 Download ppt "Asymmetric Encryption Prof. Ravi Sandhu. 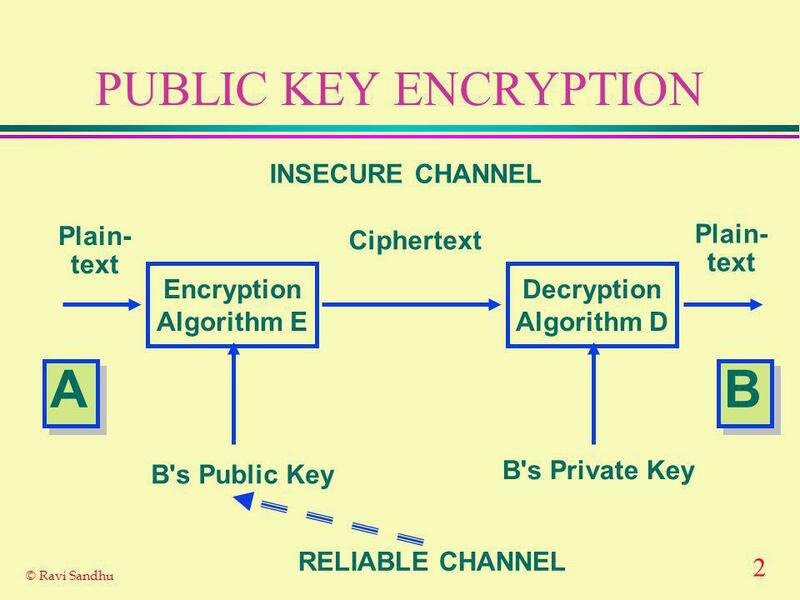 2 © Ravi Sandhu PUBLIC KEY ENCRYPTION Encryption Algorithm E Decryption Algorithm D Plain- text Plain- text Ciphertext." 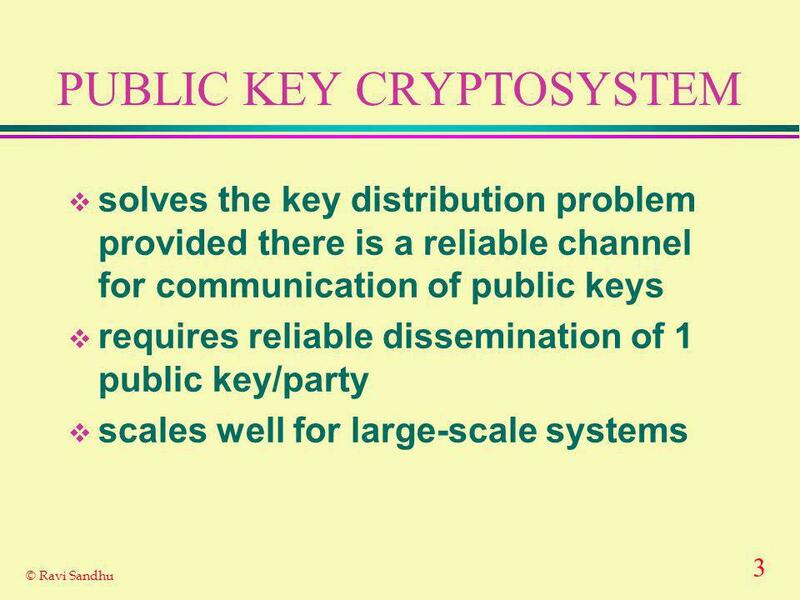 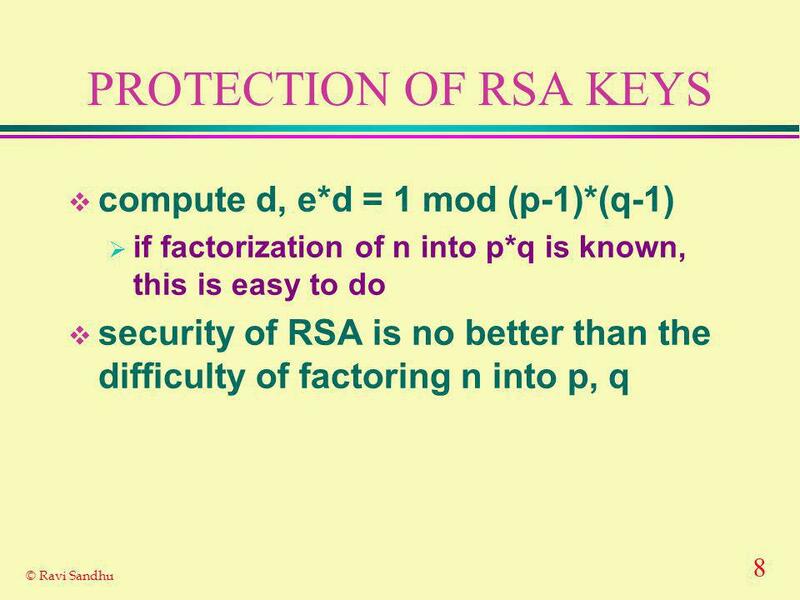 Chapter 3 Public Key Cryptography and Message authentication. 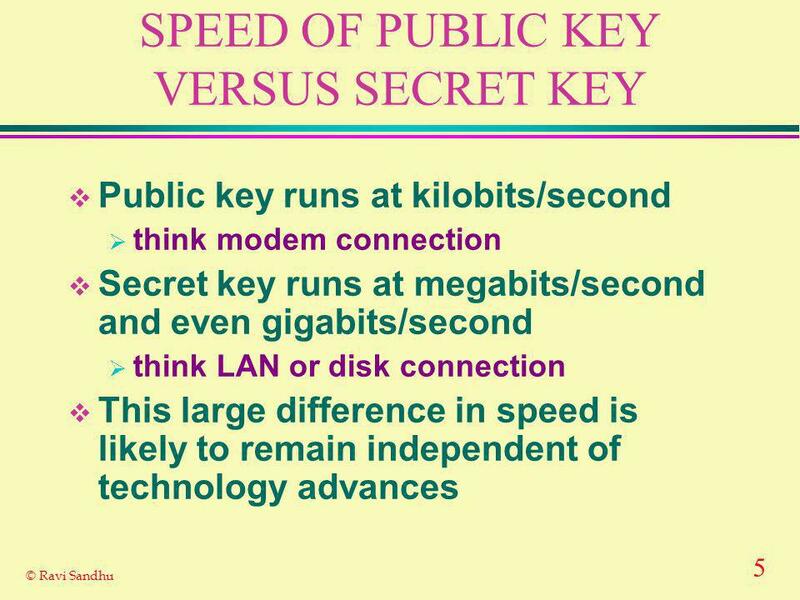 CMSC 414 Computer and Network Security Lecture 6 Jonathan Katz. 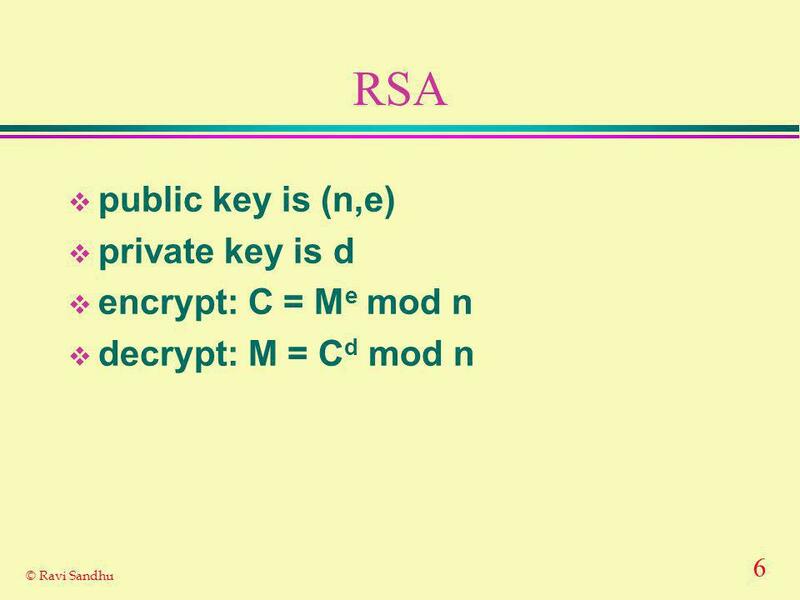 Security Chapter The security environment 9.2 Basics of cryptography 9.3 User authentication 9.4 Attacks from inside the system 9.5 Attacks from. 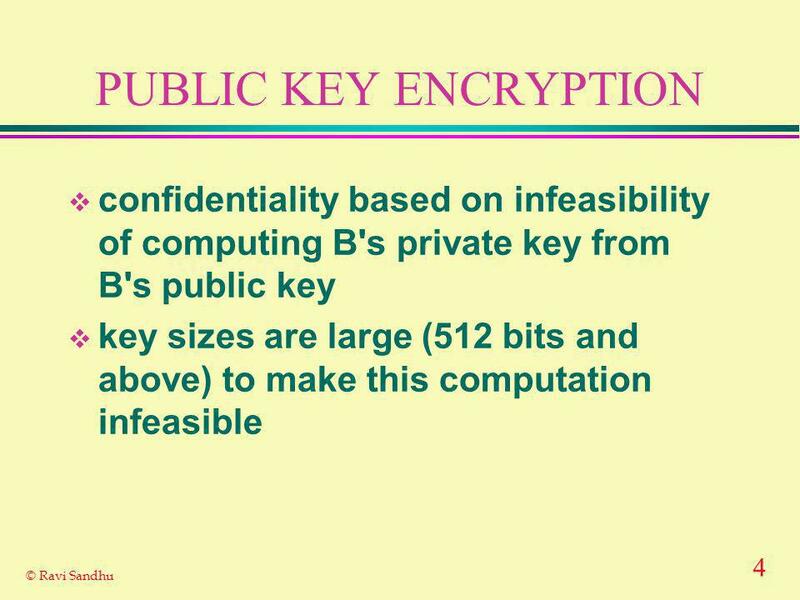 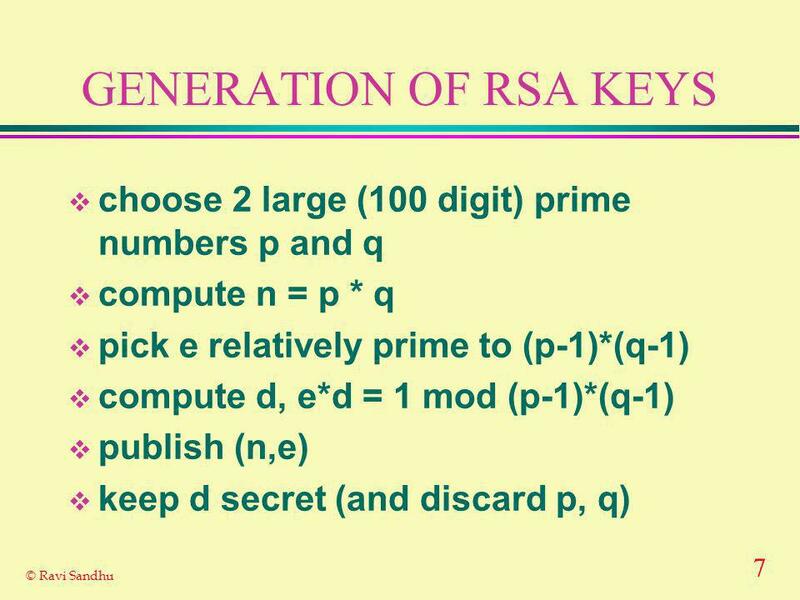 1 Pertemuan 08 Public Key Cryptography Matakuliah: H0242 / Keamanan Jaringan Tahun: 2006 Versi: 1.